For centuries, societies have relied upon residential care settings to provide homes for children, and for much of that period a debate has raged over whether such settings are appropriate places for children to be raised. In recent years this debate has taken on an international dimension as human rights policies have called into question the legitimacy of residential care of children. Unfortunately, the ideological fervor that usually accompanies such discussions prevents a more nuanced understanding of the reasons that countries continue to make use of residential care. 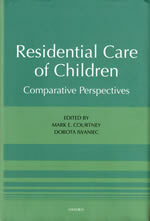 Residential Care of Children: Comparative Perspectives fills major gaps in knowledge about residential care and is intended to inform debates within and between nations about the appropriate use of such institutions. Eleven country-specific chapters, written by child welfare experts from around the world, provide an in-depth understanding of the historical development of residential care, the current state of affairs, and predictions for the future. Chapters describe how residential care is defined in each country, how it has evolved over time, factors that have contributed to the observed pattern of development of residential care, and potential concerns for the future. An integrative chapter presents a critical cross-national perspective, identifying common themes and analyzing underlying factors. 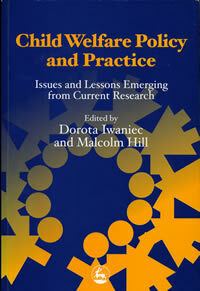 Seeking to explain rather than cast judgment, Residential Care of Children: Comparative Perspectives will be fruitful reading for policymakers, program administrators, advocates, practitioners, and scholars interested in creating better services for vulnerable children and youth.